Havana, Feb 1.- Cuba has increased in the last two years the solid organ donation rate per million inhabitants, from 8.0 in 2013 to 14.3 in 2015, Granma newspaper reported today.Dr. 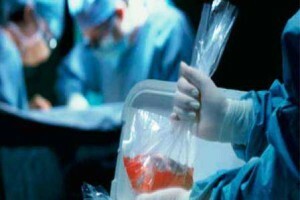 Alexander Marmol, nephrologist of the Office of National Transplant Coordination at the Ministry of Public Health, told the newspaper that among the country’s provinces, Havana achieved a rate of 26.2 donors; Guantanamo 25.5; Matanzas 24.6, and Pinar del Rio and Cienfuegos with 20, all above the national average of 14.3. According to the physician, those results are possible for the awareness of the Cuban people about organs donation, a humanitarian gesture that can save many people with chronic diseases such as heart, kidney, and liver failure. This procedure also helps to improve the quality of life, from transplants of organs, such as cornea, skin and bone, he said.